The story, titled “Bastet,” is about Ana Amari, one of the other playable heroes in Overwatch. She encounters Soldier 76 (aka Jack Morrison) in Cairo, for the first time after the Overwatch base was destroyed. Reaper (Gabriel Reyes) is also involved. Eventually, as Amari and Morrison talk about the past, the story reveals that Morrison was in a relationship with a character named Vincent. Shortly after the story came out and this particular detail caught on, Michael Chu confirmed Soldier 76’s identity himself on Twitter. He also noted that “Bastet” follows a previous short story called “Old Soldiers,” recommending fans read that one first. 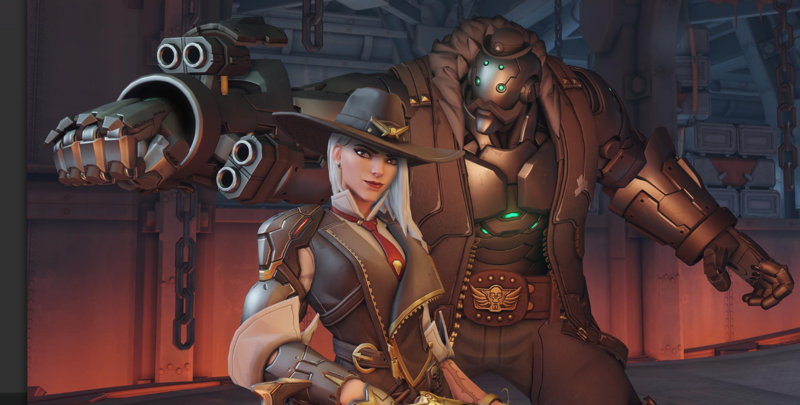 This marks the second time a playable Overwatch hero has been revealed to have a LGBTQ identity in supplemental lore content. A few years ago, an online comic called “Reflections” did something similar with Tracer, showing the character spending Christmas with her girlfriend. Chu also confirmed Tracer identifies as lesbian via social media. Overwatch does not feature much of a story in the actual game, and Blizzard’s team has released all kinds of multimedia content over the years in order to engage with the lore-hungry fans. This content has also led to in-game developments, such as skins and even new playable heroes.